Onboarding is a magical time—magic in the sense that if your users don’t find what they need and get the results they want, they will magically disappear. Also, magic because of its transformational power to turn tire-kickers into loyal users. Will your onboarding process lead to a disappearing act? Or will it enable you to build a lasting customer relationship? It all depends on how you build customer success into your user flows. Many onboarding user flows are designed to help the user set up their accounts and learn how to use the product. That’s all very useful. But these user flows are missing a step. Account setup and functional learning are important, but only as much as they help the user achieve their ideal outcomes. Your user doesn’t care about your interface. They don’t really care about your tool either. They care about achieving their ideal outcome in the simplest, easiest, fastest way possible. That’s what your product is designed to deliver, isn’t it? Yet, too often, we fail to include the actions that mean success for the customer into the very user flows designed to get them there! It’s time we re-think product-centric user flows—especially in onboarding. SaaS customers in particular tend to start small and expand their use over time. That’s good news. It means the customers you keep will spend more and more money with you. But it also makes the term “onboarded” a little difficult to define. It’s not a process that begins and ends when they’ve completed a step-by-step process to learn the software. Today’s onboarding process is as much about the user learning the software as it is about the company selling more of the software. It’s education blended with lead nurturing and sewing the seeds for retention and upsells. And to do this successfully, you have to prove your worth with tangible ROI. SaaS isn’t the only industry to benefit from ensuring customer success is built into the onboarding flow—ecommerce companies grow fastest when they not only excel in customer acquisition, but retention also. The fastest-growing companies excelled at retaining customers from their first month onward—in the first month, it was typical among top-performing companies to have 20% of their revenue already coming from repeat purchases. Within three years, repeat revenue was earning more revenue than new. Finding success with the product. Onboarding gives you a chance to interact with and impress your customers. It gives you time to lay the foundation for a long, fruitful relationship, if you use it right. Success is measured by how many users complete this sequence. One of the best examples of a good, typical, onboarding user flow is Slack’s onboarding sequence. People love Slack’s onboarding process. It’s clear, it’s friendly, it’s as close to fun as going through perfunctory set-up steps can get. By one set of criteria, Slack’s onboarding user flow is flawless. By a customer-centric criteria though, it still has room to improve. Slack’s onboarding framework is still very much about teaching the user how to functionally use the product and doesn’t address helping the user get closer to achieving their goals outside of the product. How might that look? Let’s consider why Slack exists in the first place. 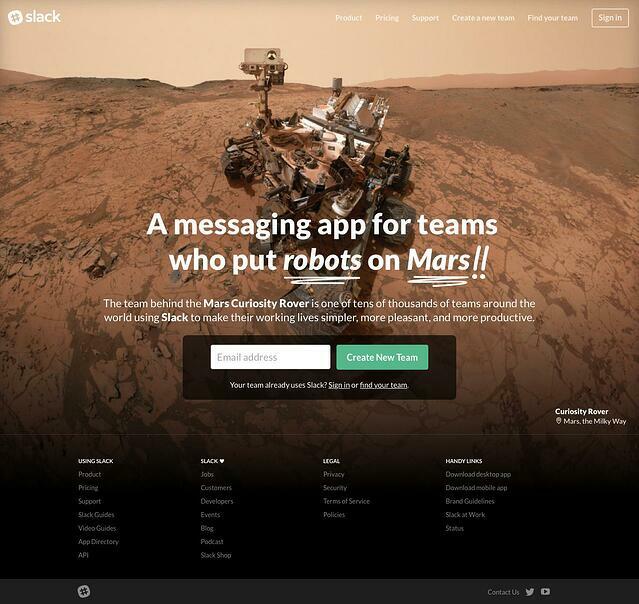 Slack exists to facilitate faster, easier, more efficient communication. It solves the pain points of overloaded inboxes and sometimes confusing or hard-to-find email threads. Think about it: What would faster, easier, more efficient communication allow you to do? Put robots on Mars perhaps? Maybe just manage projects more easily with greater accountability on all sides. How might learning to use a feature, like, say, Slack channels, help a Project Manager do this? Can we build this information, unobtrusively, into the onboarding flow? The first step is to acknowledge that there is a success gap between knowing how to use each function, and knowing how to use each function to get the results you hope for. The million-dollar question is: How can the onboarding process get users closer to reaching their larger goals? I would argue that user flow design should not begin with asking yourself questions, but with asking your customers what they really want to achieve. Then you can ask yourself how to get them there. Gathering qualitative data on what your users want to achieve is the foundation of a customer-centric onboarding process. Before you can break successes down into milestones, you’ll need to understand what success means for your customer, how they measure it, how their bosses measure it, and what they hope your product will ultimately do for them. If you ask for feedback from anyone who doesn’t meet that criteria, you won’t get the answers you need to attract the customers you really want. Once you know what success looks like to the customer, it’s time to build a structure that lets them reach it. As you’ve probably noticed in the course of sifting through voice-of-customer data, your customers’ ideal outcomes are well outside of your product. If I purchase a calorie-counting diet app, my success isn’t in filling in my meals for breakfast, lunch, and dinner. My success is feeling fit, strong, confident, and beautiful. Or maybe just fitting into my favorite jeans again. “But wait—using the app will get you to that ideal outcome!” - I hear you say. It’s not quite that simple. Yes, using the diet app to monitor caloric consumption will help me reach that goal, but it’s only one tool. Achieving this goal also requires exercise, willpower, determination, moral support, and the ability to overcome everyday obstacles (like birthday cake in the office lunchroom—it’s just SITTING there!). These are called “success gaps,” the hurdles between your customer and their success that your product doesn’t address. Yet, to be successful with your product, your customers have to navigate these gaps. A good customer success program helps them do so with complementary content, timely upgrade prompts, and sometimes product dev solutions. And, you can also address these success gaps within your onboarding process, helping your users to achieve their desired outcomes faster. Our goal is to bring the onboarding user flow together with a customer success user flow, so the functionality inside the product meets the desired outcomes outside of the product. On one side, you’ll have what functionally needs to happen for the user to onboard. On the other side, you’ll have what actions get that user closer to success. Since you likely already know what functionally needs to happen for a customer to use your product, let’s talk about what you can do to develop the success side of your user flow. Make a list of success milestones that are most important to your customer (which you know because you asked them). For each milestone on the list, what might prevent the user from achieving it? What is the “success gap” you can help them overcome? Can you help them overcome it by building solutions into your onboarding process or the product itself, or is it an information/content issue? For each milestone on the list, ask, “Can using more of the product help them achieve it?” (This will be when you move from free to paid, or offer an upgrade to help them achieve their desired outcome – they’re upsell opportunities). And one more thing: Time to first value. Milestones help customers move toward their desired outcomes. But that’s not the only way they should experience real, tangible progress. As you plot your flow, think of where your users will be most likely to feel value. Let’s look at how this integrates in a real user flow. 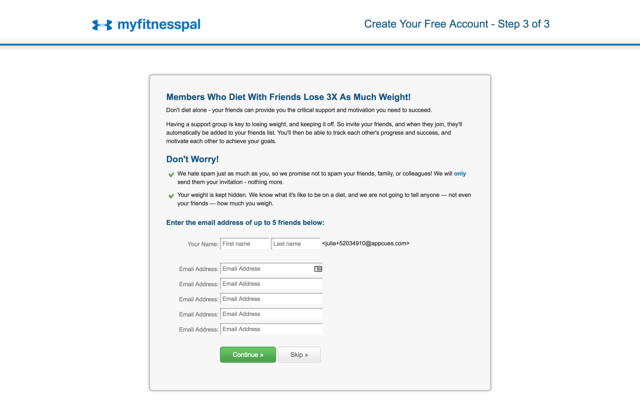 MyFitnessPal has a terrific user flow in terms of helping users make the connection between what they do in the app and their real-life desired outcomes. It’s baked into the onboarding sequence. The last step builds in organic growth by prompting the user to ask friends to join, which also serves the purpose of creating a ready-made support group. 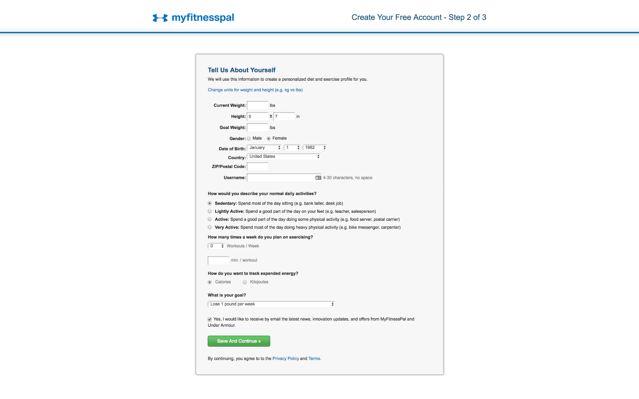 At the end of the onboarding process, MyFitnessPal builds a customized fitness plan that is designed to get the user to his or her goal. How do they know what the goal is? Because they asked! 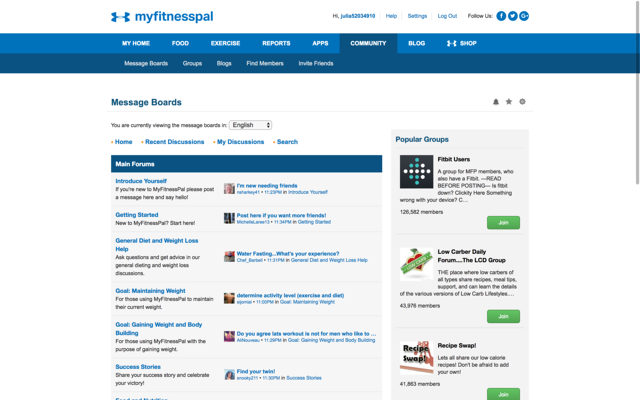 To cover some of the success gaps, like the need for moral support while dieting, MyFitnessPal also has a Community feature, and you can connect with friends and other users to help with accountability. They don’t cover every success gap though. That office lunchroom birthday cake can still present a problem. But when it comes to success milestones, tracking success is part of using the product—it prompts users to weigh in once a week and, through automation, sends cheery supportive messages when progress is made. More cheers happen each time users finish their days under their allotted calories. This is also an app where Time to first Value is handled very well. Each time a user logs their weight, the feeling of value is reinforced. Whether or not your SaaS product is fitness related, celebrating incremental milestones throughout your customer’s journey can help improve retention and referrals—if only for the reason that you’re reminding users that they are, in fact, achieving their goals. Better yet, when you track success milestones of your users, you can set up alerts to tell you when upsell and cross-sell opportunities arise. Success milestones often are logical opportunities to expand usage of the product. 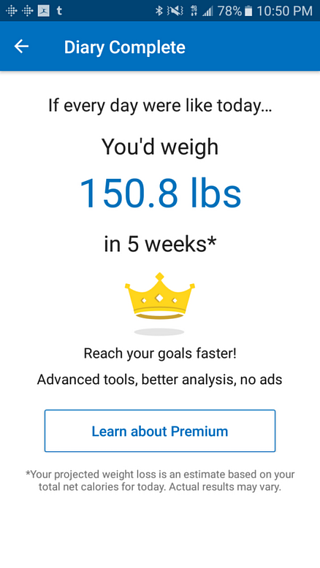 MyFitnessPal is a freemium service—it starts out free, but there is also a paid premium option that promises users they will reach their goals faster. 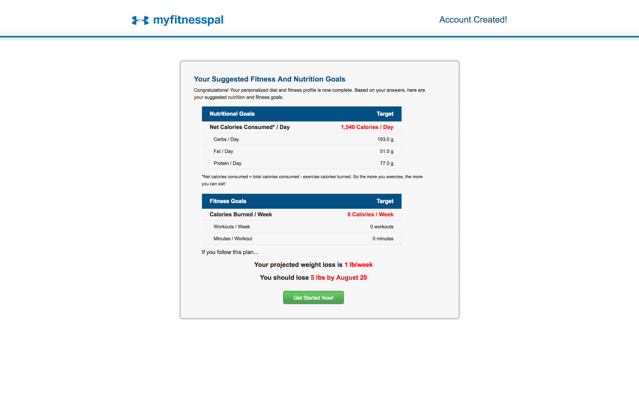 The upsell prompt pops up with the calorie goal completion message. When we talk about using success milestones in this way, we’re talking about setting up event-based triggers. Instead of sending out a series of emails after a customer has been with you for a month (ie. time-based trigger), you’re structuring communications based on observing actions. It’s much more effective because it feels so much more personal to the customer. You’re noticing what they need, when they need it (and they don’t care if you use automation to do it!). Reduce Time to First Value. Structure in some quick wins so the users feel they’ve gotten value early in the process. This isn’t a milestone, necessarily. It’s the first moment when the user successfully uses the product to accomplish a task, and sees the benefit. Identify and address all success gaps. What keeps your user from achieving their success milestones? How can you bridge those gaps? Which gaps could be bridged with upsells? Which gaps require a product solution, or a content solution? Follow up with customers. Give them a chance to ask questions, just in case you haven’t predicted and addressed every possible source of confusion. A little personal help at just the right time—by which I mean automated help with event-based triggers—can go a long way towards higher retention rates. If you aren’t already, start measuring how many customers—and in which cohorts—are reaching each success milestone. This can give you valuable insights into your ideal customer and potentially identify weak points in your user flow. Don’t forget to build success into your onboarding messaging. Let the user know that your goal is for them to achieve success, and when they reach a success milestone, be sure to celebrate with them to reinforce the idea that they are, in fact, benefiting from your product. It’s a touchy-feely detail that is too often left out. Sure, user flows will always include specific actions users need to take to use the product. But there is so much opportunity to build in retention-generating, upsell-opportunity-planting features that I believe the customer-centric user flow is the inevitable trend. And when we talk about customer-centric user flows in onboarding, what we’re really discussing is the primary arena for proving your metal against the competition. Consumers already have so many options when it comes to SaaS products that winning their loyalty is, increasingly, a game of who can get them to reach that First Value fastest. When your onboarding process makes your customer feel successful faster, and more frequently, than your competitor’s, it’s a win that will pay expanding dividends over time.